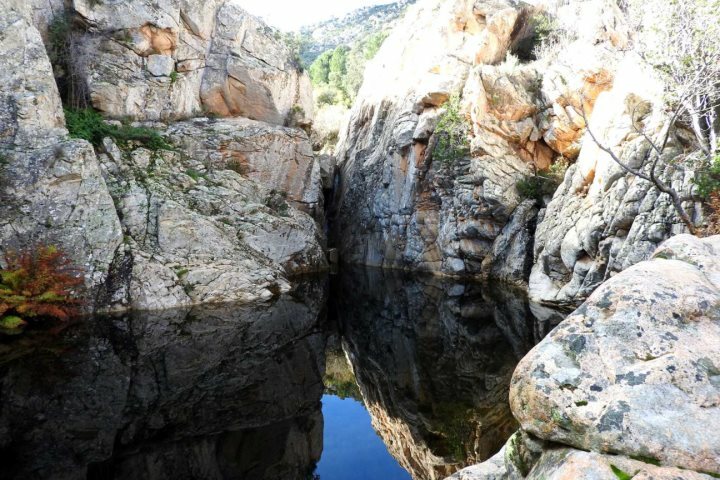 We discover the stunning natural swimming pools of Rio Pitrisconi; a perfect adventurous day out amid stunning landscapes on Sardinia. 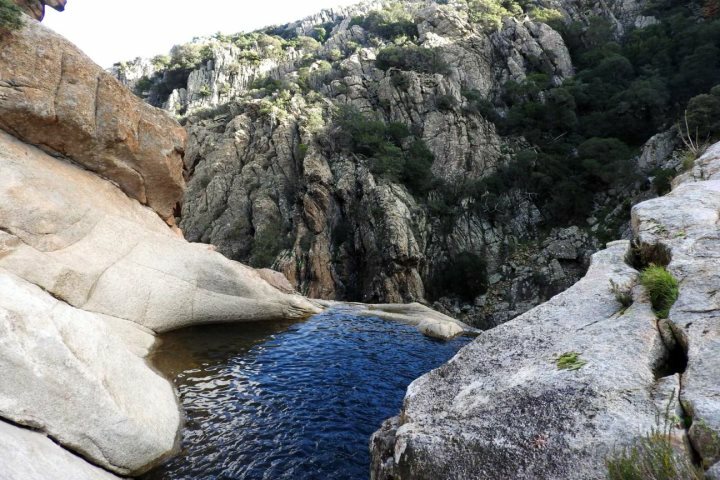 Hidden high up in the mountains above the pretty seaside town of San Teodoro, Rio Pitrisconi unveils one of the most stunning locations in Sardinia. Truly off the beaten track and not well signposted or publicised, the river here is the true definition of a hidden gem and . 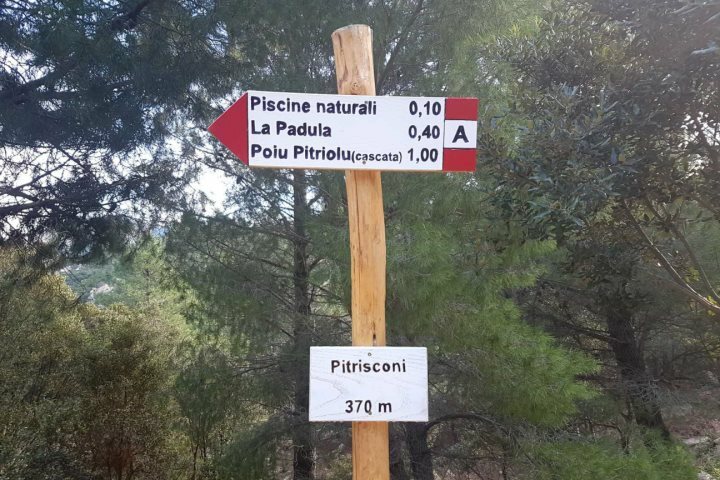 Located a 5km drive from the main road, along a track that winds its way up the mountainside through upland Mediterranean landscape, visitors who brave this drive are rewarded with a mountain river dotted with natural swimming pools, high-sided gorges and waterfalls. A short 10-minute walk from the track through the woodland leads down to the river. At first sight the river seems to flow lazily through the rocks. Cross the river on the stepping stone kindly provided by Mother Nature, and a further few minutes along the path reveals the true beauty of the area. A series of natural pools leads to a further pool not for the faint-hearted, the natural infinity pool has a backdrop of a 22m waterfall! 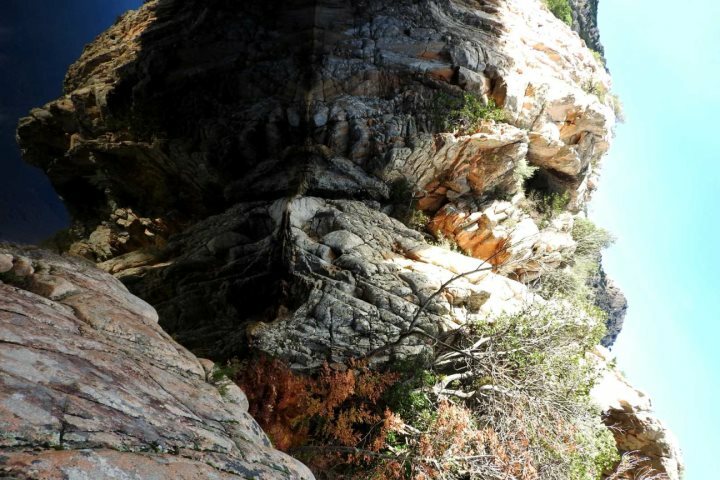 Although it’s not a difficult walk, the sheer cliffs and drops make it unsuitable for children and inexperienced walkers, while Sturdy footwear is essential for tackling the terrain. Find out more about the great range of activities and adventures you can embrace during a holiday to Sardinia by visiting our Activity Holidays page.